Memorial prior to closure of Shelley Drive building (Iain Morrison). Clydebank High School was established during 1873. Although Clydebank's most well known industries, such as shipbuilding and the Singer sewing machine factory (which produced munitions in wartime) meant that much of the town's population worked in occupations which were reserved, former pupils and staff did pay the ultimate sacrifice whilst serving in both world wars. This memorial commemorates those pupils and staff. It is headed "pro patria", which translates as "for one's country" and concludes with the words "greater love hath no man than this", John 15:13. Originally located within the Shelley Drive building (1947-2009), it was relocated to the present-day Janetta Street building during 2009. 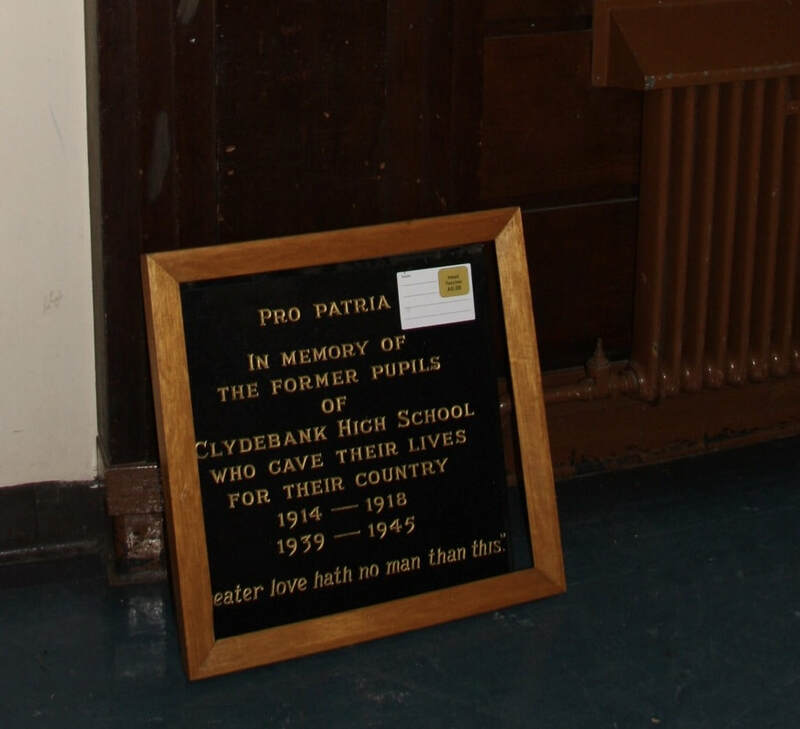 Unfortunately, due to the Clydebank Blitz which occurred during 1941, much of the school's original records from before that date were destroyed, making research into individuals who attended the school almost impossible for the purposes of producing a definitive roll of honour.